Released in October 2015, Nordic Nativity is a wonderful exploration of beautiful music from Norway, Sweden, Finland and Denmark—some of it familiar and some of it new. The Nordic composers have a marvelous way of spinning a melody that gets inside you and stays there! Of course, the Christmas season is a perfect time for this and including some new music helps us realize that the Christmas season is about our thoughts of the past and our celebration of the present. 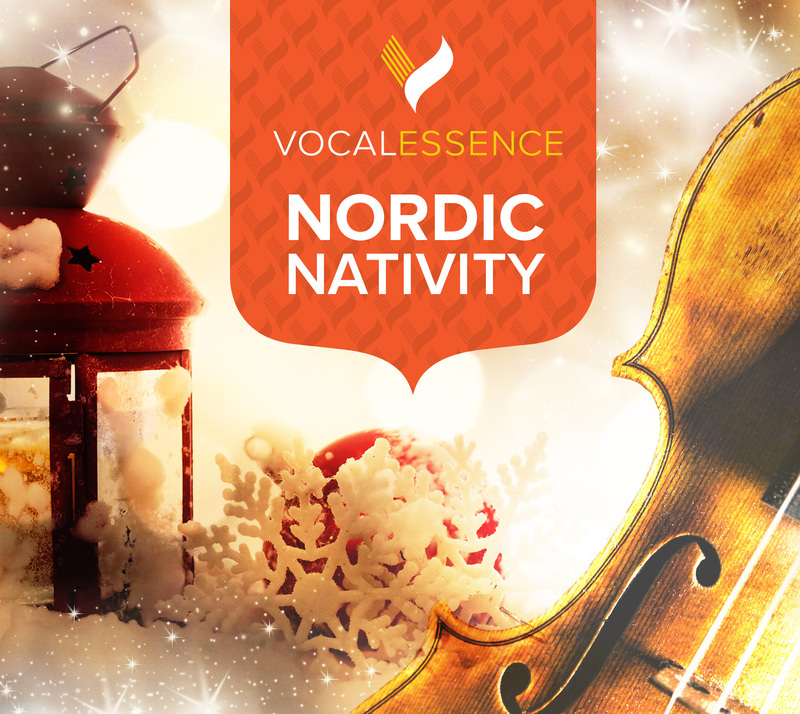 Tying it all together is the fiddle—an instrument beloved in all these countries and one that adds just the right touch to a Nordic Nativity. VocalEssence, called “one of the irreplaceable music ensembles of our time” by Dana Gioia, past chairman of the National Endowment for the Arts—and the choral ensemble that Mick Jagger of the Rolling Stones says “sings magnificently”—is a leading arts organization that impacts thousands of students, singers, and composers each year through its innovative programs, contests, and support for original art. Often featured on “A Prairie Home Companion,” VocalEssence is in demand whenever choral music is required—performing with everyone from Eric Whitacre and Rufus Wainwright to James Earl Jones and the Fisk Jubilee Singers. Founded in 1969, VocalEssence has debuted more than 240 commissions and world premieres. For more information, visit vocalessence.org. Trained as a classical violinist, Sara Pajunen performs, records, and composes using ideas from various genres. Recent work explores the strong pull toward her Finnish ancestry. The results include four recorded albums with Finnish musicians and a conceptual project entitled Laatikko/Box, which invites connection between literal immigration and personal change. Whether playing jazz, Nordic folk, electroacoustic, or tango, Sara aims to create an open space for the power of sound to speak to the collective self.